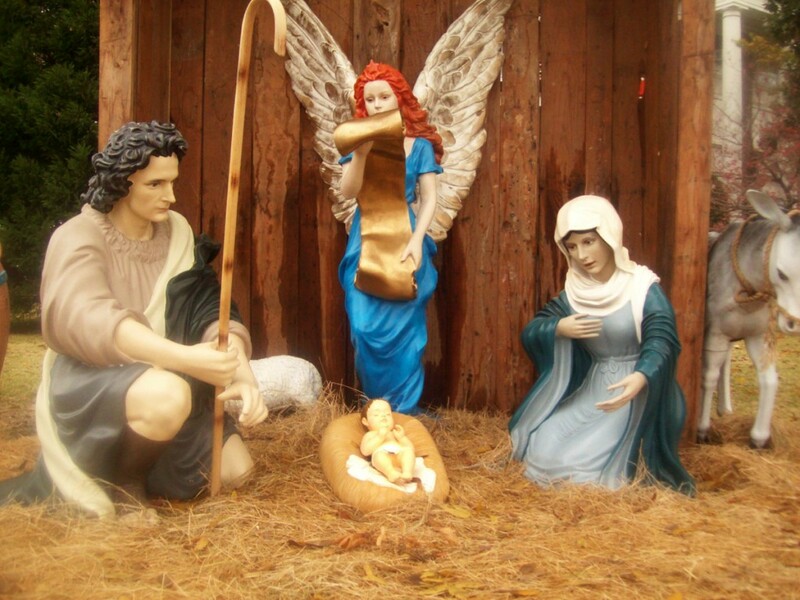 ATHENS — San Antonio Atheist Patrick Greene announced this morning he is withdrawing his lawsuit against Henderson County Judge Richard Sanders in connection with the nativity scene displayed on the courthouse lawn each December. Greene filed the lawsuit in late December. You can read more about the lawsuit here. You can read more about Greene’s involvement in Henderson County and the nativity controversy here. “I discovered a woman who is in prison who got there without due process, and I am going to try to get her out,” he said. The woman is Meagan Adams, who was one of three teenagers to be convicted in 2003 for murdering Adams’ grandmother and guardian. Adams was 16 at the time. Greene has decided to take that chance. Henderson County Attorney Clint Davis said the county was thankful to have the lawsuit behind them. 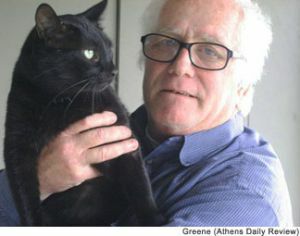 “We’re thankful for whatever reason that Mr. Greene decided to drop his lawsuit,” he said. Coming in as our No. 3 Top Story of 2012 is the one story guaranteed to make everyone’s list: The nativity scene controversy. After all, it put Henderson County into the national spotlight twice. The controversy split into separate prongs this year. The first is the Freedom From Religion Foundation, which started everything in December 2011. The second is San Antonio atheist Patrick Greene. We’ll take each one in turn. The Freedom From Religion Foundation (FFRF) is the Wisconsin-based organization that demanded the county remove a nativity scene from the Christmas decorations on the courthouse lawn last December. Later, the foundation shifted its focus from removing the nativity to allowing one of its banners. In April, the FFRF formally requested Henderson County commissioners allow one of its atheist banners on the courthouse lawn for this December. “What we are trying to do is directly counter the theology of the nativity display,” FFRF Co-president Annie Laurie Gaylor said at that time. They didn’t get the chance, at least not this year. In October, County Judge Richard Sanders denied the FFRF request. The FFRF wasn’t happy with the decision. Although the FFRF took no other action in 2012, there is a good chance the group could file a lawsuit in 2013. Henderson County residents were between the FFRF uproar of last December and the banner request of April when they first heard the name Patrick Greene. The San Antonio atheist, who is not part of the FFRF, became interested in Henderson County in February 2012 after watching video of a Christian nativity rally held on the courthouse square. He sent a letter to Commissioners’ Court threatening a lawsuit if the nativity scene was not moved to private property for this December. Then things got weird. Greene changed his mind because he believed he was going blind. A group, led by Sand Springs Baptist Church, collected $400 and sent it to the struggling Greene and his wife to help with expenses. Greene responded by flirting with converting to Christianity, although he reverted back to being an atheist fairly quickly. Still, the atheist-helped-by-Christians story went viral, garnering the county national attention. Greene was then quiet for nearly eight months, before bursting back onto the scene in December with a lawsuit against the City of Athens. Greene withdrew that lawsuit less than a week after it was filed when Texas Attorney General Greg Abbott asked the Bexar County District Clerk for a copy. Greene also said he was afraid of Christian violence. But to prove that you can never be sure of what Greene will do next, he closed out the year by filing another lawsuit, this time against County Judge Richard Sanders. Greene said he wants the nativity scene moved to private property. The one thing we can be sure of in 2013, is that Patrick Greene isn’t going to just disappear.